Perhaps they expect you to use all five of your senses really. 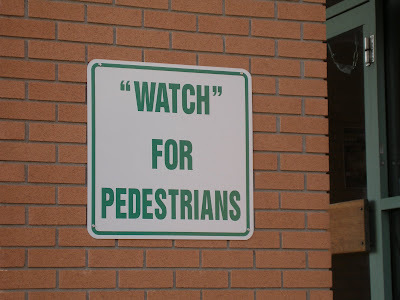 I know that I sometimes detect pedestrians by smell... Thanks for the pic, Ben. Maybe they give you a fake Rolex.